As motorcycle riders, you trust your tires, brakes, and other bike parts to be safe – probably without even thinking about it. Millions of bike parts are manufactured, distributed, and sold every day across the world. Most of them do the job they're supposed to do, but sometimes there are flaws or defects. 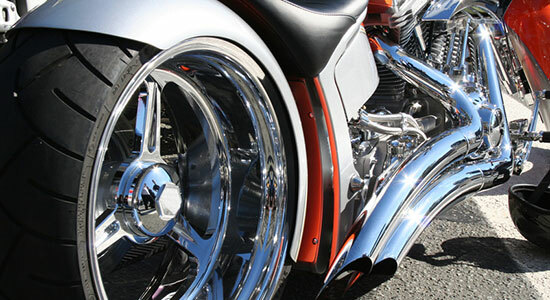 If they are not noticed or fixed in time, they can cause serious injuries to bikers and their passengers. It's important to know that you have legal rights if you're ever in an accident caused by a defective motorcycle part. Manufacturers have a responsibility to keep their products safe. If they do not follow through properly, they can be held accountable for their actions. What Are the Key Factors in Determining if a Bike Part is Defective? A product doesn't work as it should, because it was made improperly. For example, a wire might be exposed, or a part might rust and fall apart. There is a design defect with a product. This usually results in recalls so the manufacturer can fix the defect in the bike models. A part might be too far forward, throwing off the balance of the bike, or a safety element may need to be added. The manufacturer didn't warn motorcycle operators, or didn't warn them correctly, on how to use the part. An instance might be if a bike part becomes extremely hot and you suffer second-degree burns on your leg, but there are no warnings alerting you about that danger. Manufacturer Responsibilities: What Are They? They must eliminate known defects and create a new product design when a flaw is found. They must protect users and provide safety devices when possible. They must give adequate instructions about how to use the part, as well as warning stickers about potential dangers. They must notify consumers about recalls and reasons why the product is being recalled. If you were in an accident that you believe was caused or made worse by a defective motorcycle part, you should do a few things to protect your legal rights. Seek medical attention for yourself and/or anyone who has been hurt. Call the police. They will collect witness reports and gather information at the scene of the accident, which will be very helpful for your case. Third, call an attorney who deals with defective products. Our firm offers a free legal consultation with no strings attached, so you can find out if you have a case. It's important to call quickly, because witnesses and evidence disappear quickly. Waiting could mean less compensation for you. Document the evidence. Find the box and instructions for the bike part (or lack thereof), and take many pictures of the part and your injuries. Collect anything else you might need for your case. Hopefully you never have to deal with injuries caused by a defective bike part or recalled product. But if you do, it's important to know your legal rights, the responsibilities of the manufacturer, and what to do to protect your legal claim.